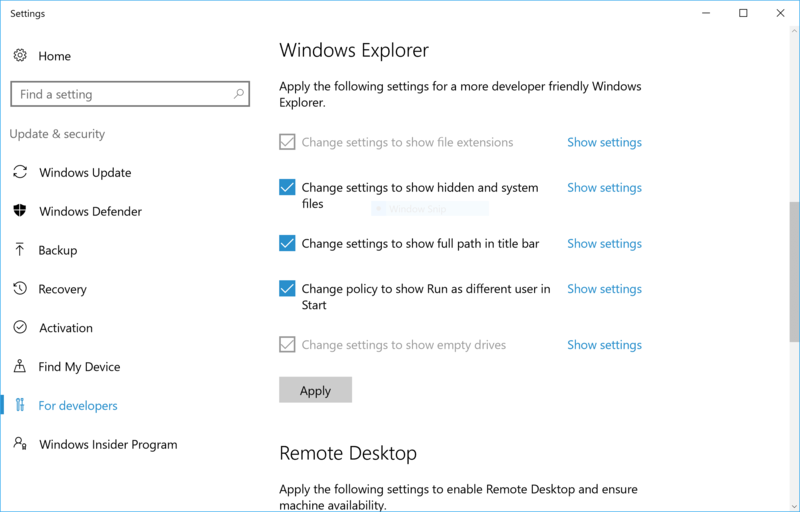 If you are a developer, you have changed these Explorer View settings on every system you ever installed. Now, finally, there is a single-click option built into Windows. If this is present in your installation, you will find it under ‘For Developer Settings‘. There are also new easy-access changes for Remote Desktop and PowerShell. Just think of the man hours saved not having to individually toggle these settings after every OS install. Hey, they add up! It is possible this appeared prior to build 14901, but it has been noted there for sure. Please correct me if the build number if wrong in the comments below.